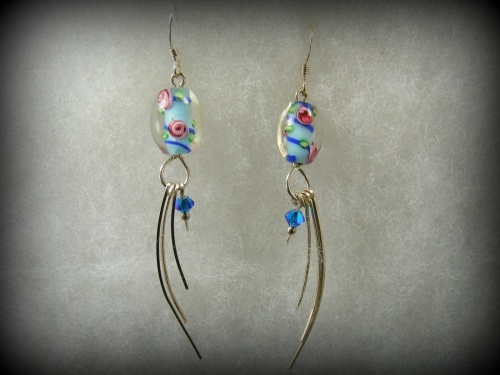 This pretty pair of earrings is made of glass beads with multi colors of deep blue, pinks and aquas accentuated by dangly pieces of sterling silver wires and a small swarovski crystal. Flowing with every move you make. Measure 2 1/2" long by 1/2" wide.